The Deans of eight Medical Faculties have collectively suggested that graduates from all private medical schools in Sri Lanka should be required to pass a licensing examination before they are allowed to practice locally. The licensing examination will be similar to the examination that foreign medical graduates must pass to be qualified to practice locally. The Deans of the Medical Faculties of Colombo, Ragama, Karapitiya, Rajarata, Batticaloa, Jaffna, Peradeniya and Sri Jayawardenepura universities came up with this suggestion and several other recommendations in a joint statement submitted to the Higher Education Minister last week. The Deans recommended amending the Sri Lanka Medical Ordinance to make the licensing exam a pre-requisite for awarding provisional registration by the Sri Lanka Medical Council (SLMC).The joint statement came in the wake of Court Order on the medical degree holders of SAITM. The statement outlined the implications of the Court Order for standards of medical education in Sri Lanka, and provision of safe healthcare services in the country. The Deans have also observed that SAITM should be compelled by the Higher Education Ministry to suspend admission of medical students until it obtains the necessary compliance certification from the SLMC. “We are not asking to close down the SAITM. If the government has taken a policy decision that private medical colleges must be allowed, we have no issue with it. 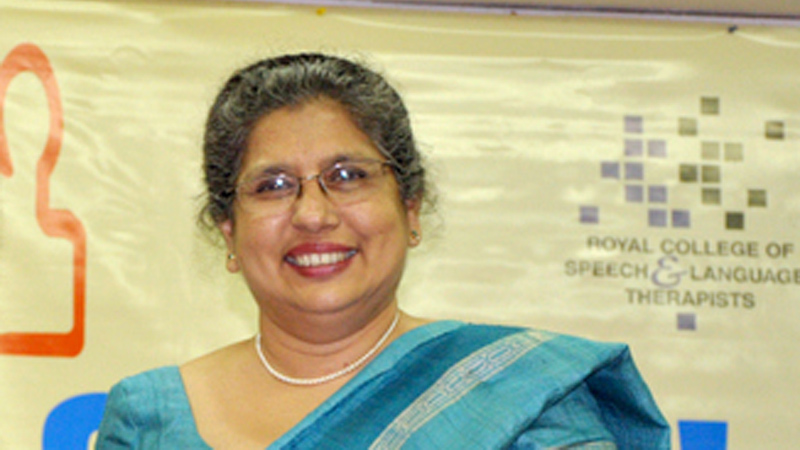 However, the quality assurance is a must, and the criteria for that must be agreed by the SLMC,” University of Kelaniya Faculty of Medicine Dean Prof Nilanthi de Silva said, commenting on the joint statement. Giving her personal opinion, she said the first batch of medical graduates passed out from SAITM must be given further clinical training before being allowed to practice locally. “SAITM has a state-of-the-art hospital and experienced teachers, but it does not have enough patients. These students should be allowed to have clinical training in state hospitals,” she said. The Deans of Faculties in their statement have also proposed that medical graduates from state universities who have been provided with free education, should be compelled to serve the Sri Lankan state health system for some minimum period, whereas graduates from private medical schools need not be compelled to do the same. They have also highlighted the need to prescribe minimum standards for medical education in all higher education institutions that are empowered to award medical degrees in Sri Lanka. “These regulations must be gazetted by the Minister of Health, and approved by Parliament as soon as possible,” the statement said. The Deans stressed that Degree Awarding Institutes should not be empowered to award medical and other health professional degrees by the Higher Education Ministry, unless such an institute has obtained compliance certification from the relevant professional body. Compliance certification should be subject to renewal at regular periods, e.g. every 5 – 10 years, the statement added. “The legislation governing professional bodies such as the SLMC, the Sri Lanka Nursing Council and the Ceylon Medical College Council should be amended in order to empower such professional bodies to grant compliance certification to degree awarding institutes,” the statement further added. Private medical schools grads must pass exam. I would recommend that all medical graduates must pass a common exam to qualify for registration. There are shortcomings in state medical facuklties also. So, to remedy the situation and not to penalize the private medical schools grads, it would be prudent to all graduates to pass a common exam conducted by the SLMC. Besides, in the future, all medical schhols must adopt the same scheme of recruitment approved by the relevant authorities to ensure appropraite quality. Also, the SLMC should comprise of non-medical professionals of good standing to balance the interest of all citizens. What a Graceful suggestion ! Private Medical School Grads. must pass licensing Exam. These SLMC Deans are dreaming when they suggest clinical training in state hospitals for SAITM. This is what the battle is about. ERPM training they suggest has been done through Supreme Court order by SAITM in forensic and community medicine in Avissawela and Kaduwala MOH paying fees to government. Need not repeat. Also they talk rubbish about non existent Compliance certificates, which SAITM had been asking them for years and which they could not produce. SAITM asked them several times about minimum standards, but none exist. Now they may be cooking up that also. SLMC never put its own house in order, being stubborn until the legal verdict came to it unexpectedly. Now awake, they struggle to 'suggest' instead of allowing SAITM MBBS doctors examined by their own uni. professors to complete unbiased and supervised clinical internship training now legally directed, instead of their imaginary trainings without wards or patients or clinical trainers. Intellectual theorizing without practical reality is dangerous. Interns are not allowed and have no time to practice locally as suggested by them . SAITM has had training in 7 hospitals until their own hospital will overflow with time. State too trains in many hospitals. Do these standards apply to Rajarata and Eastern med. schools with no staff and the 2 new ones about to start even without buildings. Whatever is amended now must apply from henceforth and cannot be backdated to State, KDU, NCMC or SAITM. Local MBBS is licensing exam. legal and lawful. Unbiased professionals of integrity are a rare breed. That is a good solution to resolve the issue. Does Kotalawela Defense Academy fall under Private medical college ? Its strange that there is so much aggression towards this private education institution. There must be private actors in order to increase competition and standards and allow local students an alternative. I know number of occasions where SLMC was defeated in the court system for their unconstitutional/discriminatory behavior. When are these people going to learn.. Seriously! Authorities should have engaged with SAITM from the start and had a constructive discussion. I blame the SLMC for their pathetic excuses in this matter and not addressing the issue from the very beginning. We must now move on and respect the decision of the courts. Yes, This is a great idea. In fact all medical students graduating from all medical schools, wanting to practice medicine in SL, MUST sit for the same ( not a different one) exam- It should not be only for private medical school students. The main concern is the safety of the patients, so why exempt the students from government schools? As we know, only a very few good students from Sri Lanka are able to pass the USMLE (USA Exam). In the US the exam is same whether one graduates from a US medical school or any other in the world. And that is a good system. In fact this should also be considered for engineering or any field where the health and welfare of the public is at stake. It is unfair, illogical and may be illegal to require only graduates of privately funded and foreign institutions pass a test. The underlying assumption is that the graduates from state funded universities are better prepared and better qualified because of the quality assurance and quality control (QA/QC) practiced in these institutions. But unfortunately, no QA/QC program can assure all graduates meet the minimum requirements unless they pass a standardized test. All medical graduates, including those pass out from state funded universities should be required to pass the same examination. In most developed countries all graduates, regardless of the university they attended have to pass a standard examination before practicing their chosen field. For lawyers, it is the State Bar, for engineers, it is the Professional Engineer, and so on. Similarly, medical doctors are required to pass an exam. If Sri Lanka Nedical Council can have a common board exam like the USMLE in the United States, every nedical graduate whether state or private will be on a level playing field. This may be good to place graduates in the merit list as well. If Sri Lanka Medical Council can have a common board exam like the USMLE in the United States, every nedical graduate whether state or private will be on a level playing field. This may be good to place graduates in the merit list as well. They have already passed a legally constituted local MBBS, far above licensing of SLMC cooked up exam.